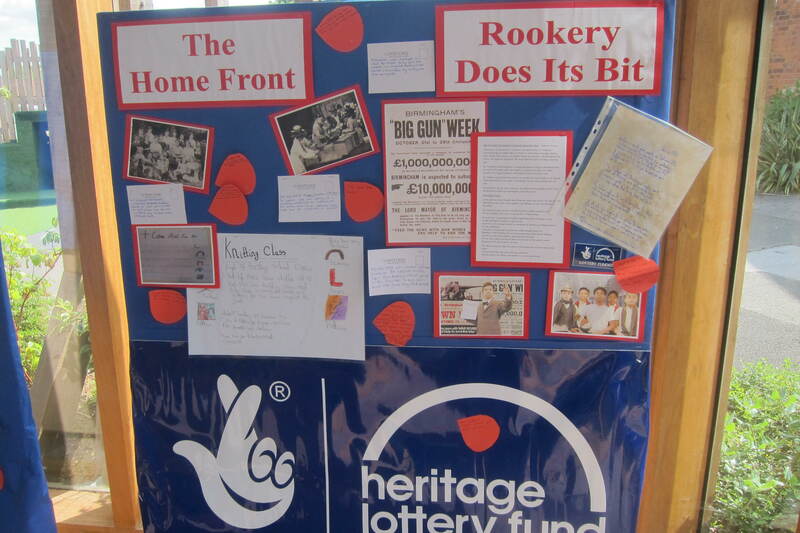 Rookery School has a war memorial in its Red Hall, and a school logbook dating back to World War 1. Working with Year 6, we’ve traced two soldiers named on the memorial, and have been piecing together archive materials and historical artefacts to imagine what life might have been like for their families living locally a hundred years ago during the war. We walked down Soho Road to Handsworth Library, looking for history clues about what we might have seen walking the same route in 1914. We asked questions too about Handsworth a hundred years ago – transport, what kind of shops there were, what form of lighting, ethnicity and religions within the local community. What would have been similar, and what has changed in the last century? Now we’re getting down to writing and recording creative work – click here to read Mother Dearest 6W’s letter about the decision to enlist… and more to follow. Our two soldiers lived on streets close to the school. From the census of 1911 we were able to piece together details of their families, and their family businesses too. 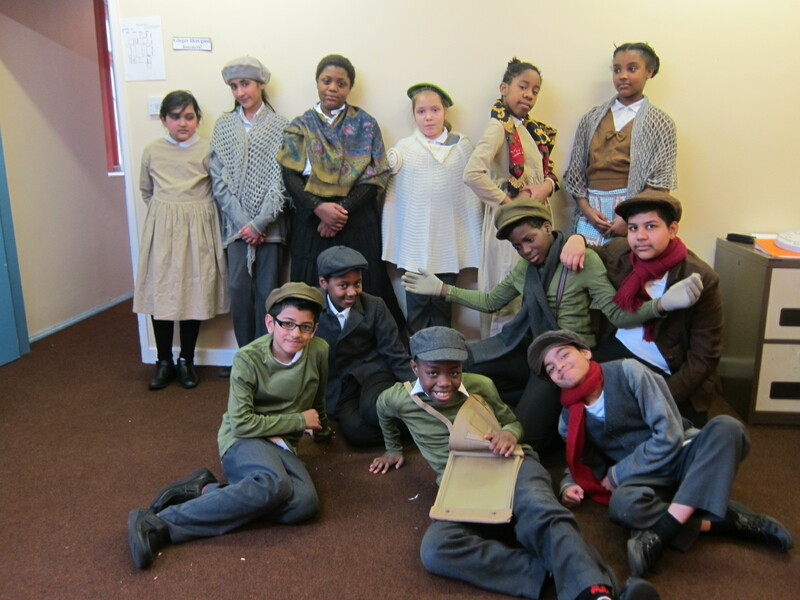 We tried to imagine what life was like for their relatives in Handsworth while they were away fighting at the front. 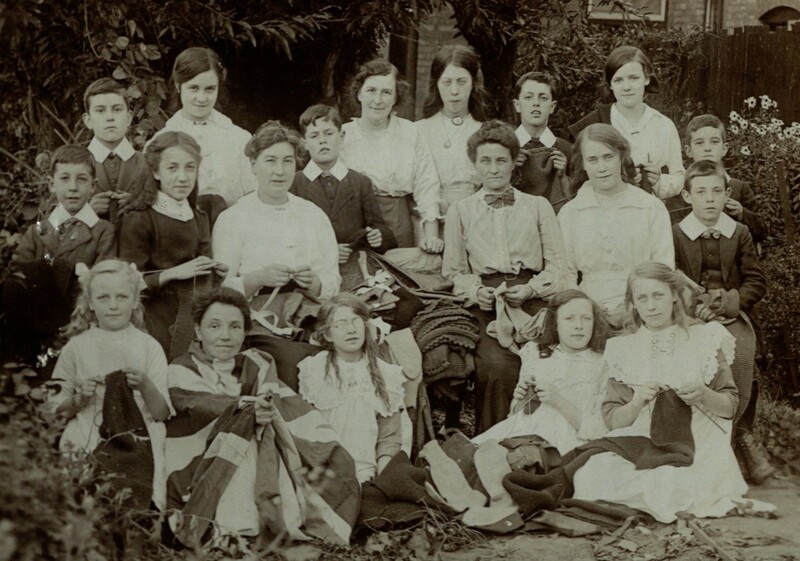 We imagined knitting parties, fundraising activities and patriotic speeches at Rookery Schoo, all based on archive evidence. 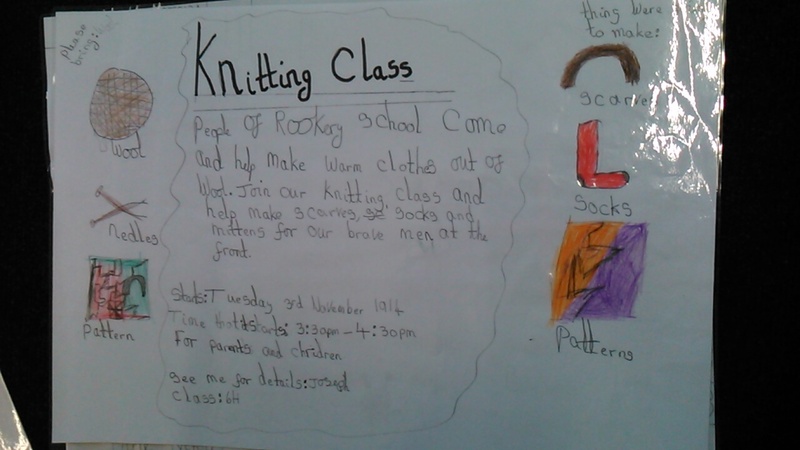 How would you encourage boys and girls to come to a Knitting Class at school to knit warm socks for ‘our boys’? 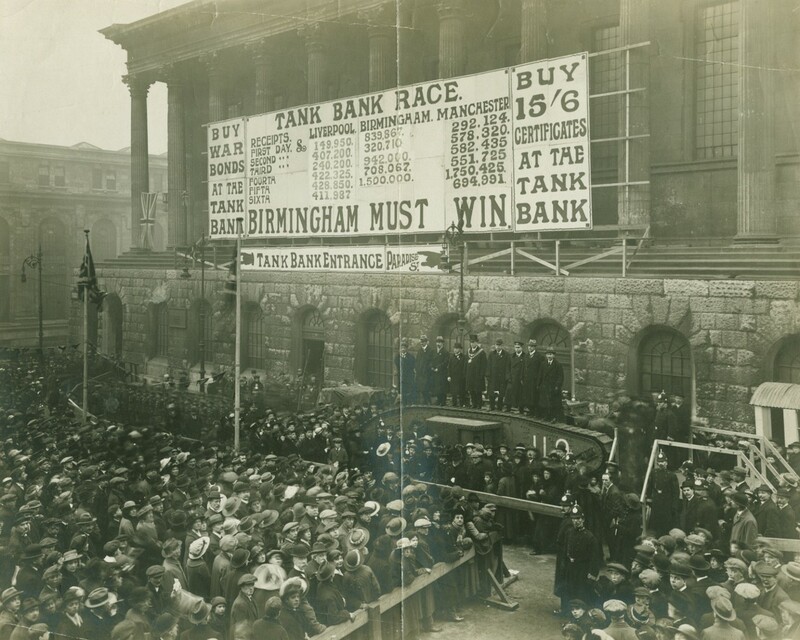 We knew from the school logbook that pupils raised funds for the Tank Bank, and went into Birmingham Town Hall to hand over the money they had raised. We imagined what sort of fundraising activities they might have dreamed up to help to fund the war. 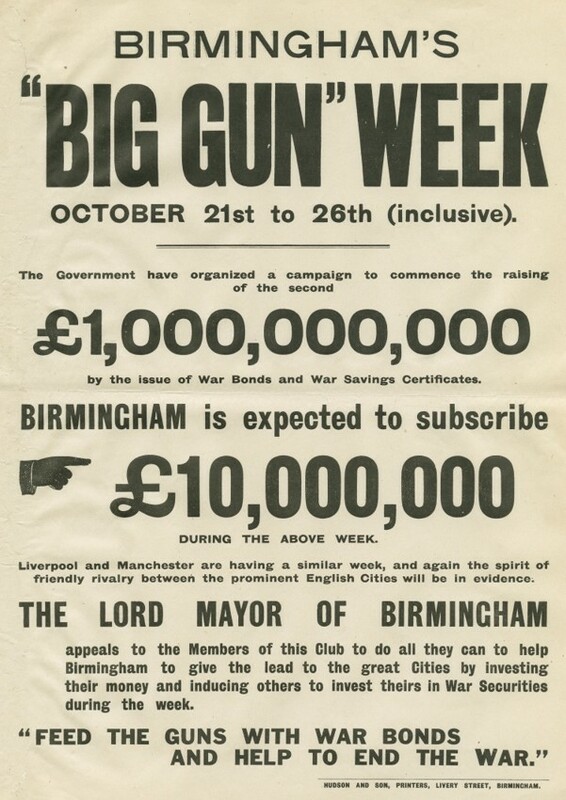 Big Gun Week – Birmingham competed with other British cities to raise phenomenal amounts of money to ‘feed the guns’. 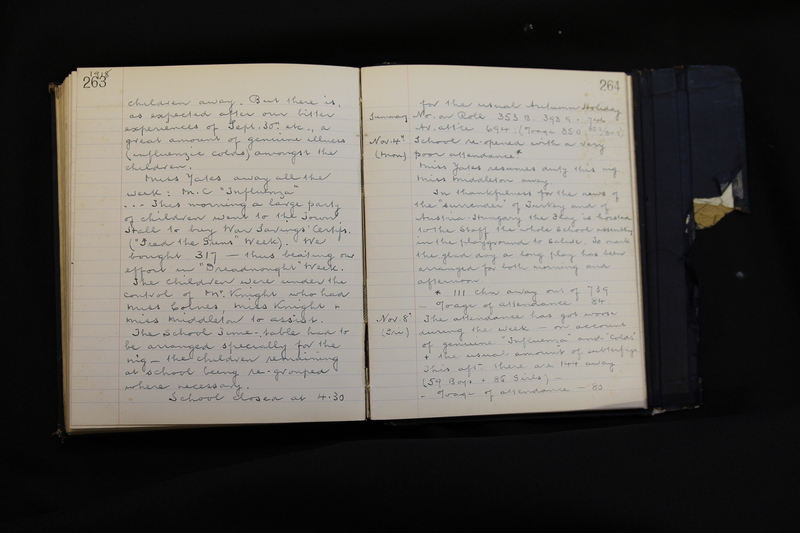 The school log book describes how pupils travelled into town with their teachers to take the money they had raised to buy war bonds. Huge crowds gathered in Birmingham in 2016 to see a tank touring the country, encouraging people at home to keep on raising funds to support the war effort. The younger of our soldiers, Harry Stirk, survived the war. We wrote the speech Harry might have made – and what he would have left unspoken – at a party to welcome him home after the war was over. Sadly George Grimmett was killed in action, leaving his widow to run their greengrocery shop and bring up their two young sons. And we tried to imagine the complicated feelings George Grimmett’s widow might have had during the Armistice Day celebrations. This work formed the scripts for our films which you can see here. Our films were shown along with live performance exploring the full stories of our two soldiers and how their families experienced the war here in Handsworth. Parents and members of the local history society were invited to watch the show and to find out more about what we had learned throughout the project. It was an unforgettable evening! This is just one of four exhibition boards we made to share the work we had made. Trained experts from Y6 explained the project to parents and other visitors. Thanks to HLF and Rookery School for funding, and to all staff and pupils for their energy and enthusiasm supporting the project. George Grimmett was my grandfather. My father was just one year old when his father was killed. His brother, Stanley, was just a few years older. I have a lot of letters written by George Grimmett to his wife (who I recall quite well) from the trenches. They are written in pencil and are quite difficult to decipher. Stanley lived until 1998, My father, Ben, died in 2006. Pleae contact me if you would like some further information and you think I may be able to help. Richard, we are delighted to have heard from you and to learn a little more about George Grimmett, and a little about your family’s history following his death in action. We’ve now uploaded ‘From Handsworth to Flanders Field’, our project book, which will show you some more about the creative work from the project. We would very much like to keep in contact, as we are working on an extension of the project with Birmingham City University, through Voices of War.